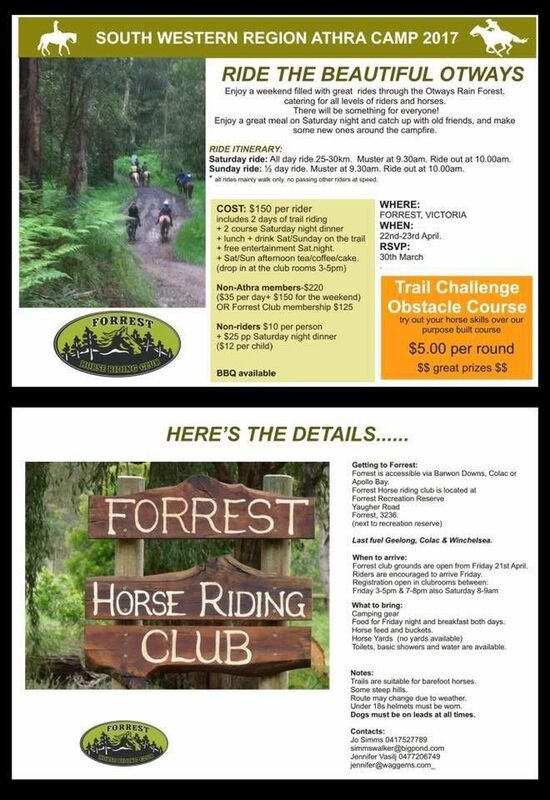 Forrest Horse Riding Club has been operating for a number of years having rides every third Sunday of every month. Have held Athra State Camps in 2017 and 2014, which were a huge success. With great riding, entertainment, food and great company.